In what was an otherwise forgettable 2-1 defeat to Portugal, there was something special about Belgium's consolation goal in Leiria. More precisely, it was the fact that Romelu Lukaku's 62nd minute header was the result of his brother Jordan's cross. It got us thinking about some of the other footballing siblings throughout the world game. Ok, let's get the obvious out of the way. The pair both famously played for Manchester United and are a product of the (now essentially a business brand) "Class of '92". After leaving Manchester United, the younger of the Neville brothers, Phil, enjoyed a successful career at Everton and was named team captain. Was brought in to the backroom staff of David Moyes' ill-fated ten-month tenure at Manchester United in 2013 and then joined Valencia as a coach. Gary, on the other hand, set the benchmark of football punditry on Sky by dissecting play and utilising the interactive screen to the best of its ability. He left his post to manage Valencia, where continues his career as a coach. 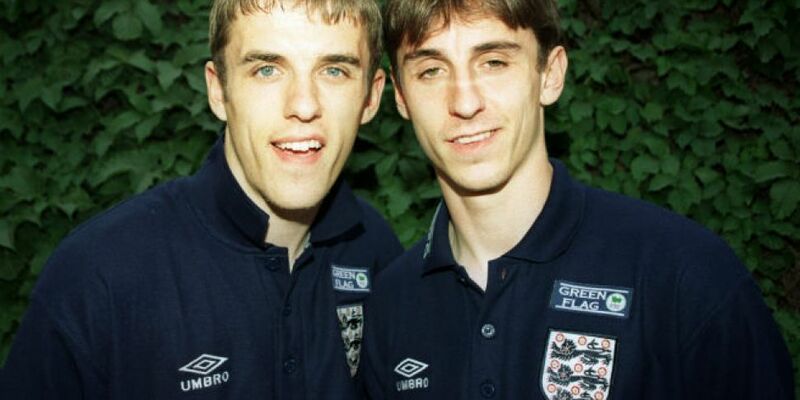 The famous footballing twins. Teammates at Ajax, Barcelona, Rangers, Al Rayyan, Al-Shamal and the Netherlands national team. Frank outshone his older brother in term of international caps, garnering 112 appearances for the national side, in comparison to Ronald's 67. Frank is currently in charge at Ajax who are top of the Eredivisie and are aiming for their first national title since 2014. Ronald has taken charge the Ajax youth side Ajax A1 and is helping to cultivate the next generation of Dutch footballers. You can stick this in the pub quiz trivia section of your brain alongside "What does the J.R.R in J.R.R Tolkien stand for?". Yes, Irish international David O'Leary did have a brother. Pierce began his career at Shamrock Rovers before a loan spell where he made 14 appearances at the now defunct Philadelphia Fury. Also made 61 appearances for Vancouver Whitecaps, before finishing his career at Celtic. Older brother David had a more distinguished career with Arsenal where he made over 550 appearances for the London club. Went on to play for and then manage Leeds, as well as take the reigns at Aston Villa. These brothers have actually played against one another in the World Cup. In a Group D match at the 2010 World Cup in South Africa, half-brothers Jérôme and Kevin-Prince Boateng, of Germany and Ghana respectively lined out against one another. Kevin-Prince has lined out for the likes of Tottenham, Milan and Schalke 04, not to forget Portsmouth, in a career that's last over a decade. Jerome meanwhile has made 57 international appearances for Germany and has spent the last seven years at Bayern Munich making 122 senior appearances. Last but certainly not least, the Charltons. World Cup winning brothers with England in 1966, but endured a rocky relationship. A Manchester United legend, Bobby made over 600 appearances for the club scoring 199 goals and also made three appearances for Waterford United. Jack famously took charge of the Ireland national after playing all of his club football with Leeds United. Ireland qualified for Euro '88, Italia '90 and USA '94 during some of the nation's golden years on the international stage. How difficult will it be to overhaul the FAI structurally?